There is a lot I want to do this gloomy Sunday afternoon, besides reading my favorite blogs and drooling over look books. I’m planning to climb behind the sewing machine to work on some ideas, do my nails, laundry and I really want to figure out how to make an tulban out of a scarf! Aaaargh…. I want this leo coat, I need the perfect leo coat ! I´m in love with that brand. I have this brand but already is impossible purchase at spain. Great outfits! I love the second photo the best! Feel free to leave a comment on my blog. I love hearing from you! Ohhhh…I want that leopard coat! So nice. Haha ik ben niet de enige die praktisch genoeg moet kwijlen van die luipaardjas! Zooo mooi! great collection, love the black button jacket in the middle! great all the photos you teach us!! great stylist! I’ve seen it yesterday and I love it! Like this lookbook a lot! Always wish I had the skills to make my own clothing but I guess I’ll just have to stick with thrifting for now. Mmm, I love the gravel-ly look of the skirt and the waistcoat. ohhohhoh! i want every single piece! i can picture you in all of these looks! great pictures and awesome collection! such amazing looks; loving the first one best! 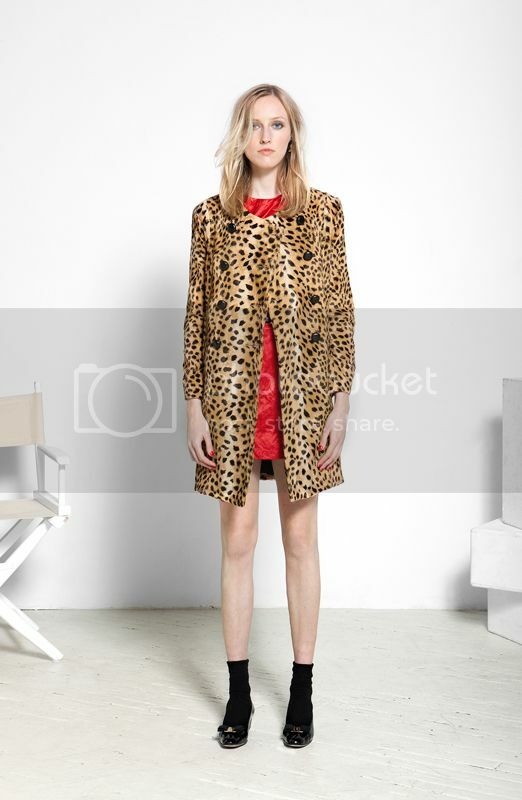 I love the leopard coat, and I want a leopardjacket myself! awesome lookbook. Love your blog!